Ming-Chi Kuo of KGI Securities said in a research note on Monday that he believes Apple's anticipated "iPhone 5C" will actually be positioned as the company's mid-range device, not a low-end option as was previously rumored. Instead, the company's entry-level iPhone will be the iPhone 4S, he said. Kuo expects the so-called "iPhone 5C" to cost between $400 and $500 without a contract subsidy. Meanwhile, the iPhone 4S  first released in 2011  will run between $300 and $400, according to Kuo. The updated lineup will also mean the end of the iPhone 4, which was first released in 2010. Kuo's claims run contrary to some recent rumors, which suggested that the "iPhone 5C" could replace both the iPhone 4S and iPhone 4. The logic behind that line of thinking was that Apple wanted its entire iPhone lineup to feature larger 4-inch displays and the new Lightning connector, completely removing the legacy 30-pin connector from the company's product lineup. 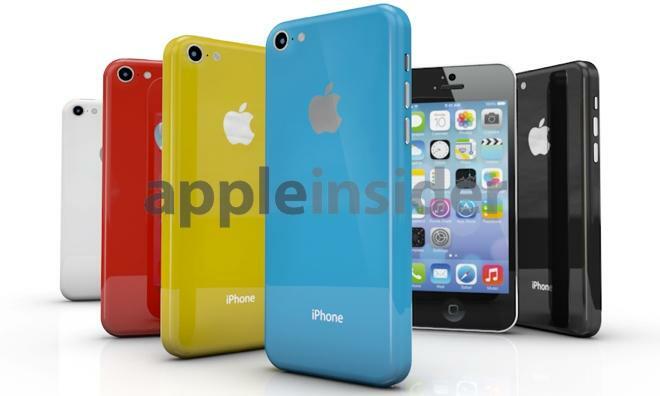 The "iPhone 5C" is expected to include largely the same components as Apple's current top-of-the-line iPhone 5, including an A6 processor and a 4-inch Retina display. Apple is expected to cut costs and boost margins by featuring a plastic back for the device, which is likely to come in a range of colors based on various leaks. The "iPhone 5S," meanwhile, is expected to become Apple's new premium smartphone, featuring the same metal construction as the iPhone 5, but sporting a fingerprint sensor beneath the home button as well as a dual LED flash component for better low-light photos.